Love seafood? Me too! 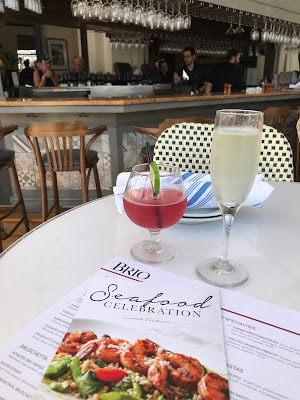 Celebrate the greatness of fish at one of my favorite restaurants, BRIO Tuscan Grille this spring for lunch and dinner and experience their new Seafood Celebration menu, from Tuesday, April 3–Sunday, June 17. I got to sample the new menu (tough life!) and it was even more delightful than I was expecting. Made from scratch, the dishes include the finest and freshest ingredients. Strawberry Balsamic Salmon Salad: Mixed greens, salmon, grapes, spicy pecans, Gorgonzola, herb vinaigrette. The portion is more than generous, easily enough for a full meal and not a starter as I pictured. I plan on going back just for this! It's light, refreshing and filling, but not overly so. The salmon melts in your mouth too. Grilled Salmon Fresca: Grilled asparagus, sweet potatoes, spinach, red peppers, pesto vinaigrette, Feta, tomatoes, balsamic glaze. Grilled Salmon Fresca: Grilled asparagus, sweet potatoes, spinach, red peppers, pesto vinaigrette, Feta, tomatoes, balsamic My mother especially liked this dish and she isn't even that big of a salmon fan! Lobster & Shrimp Ravioli: Spicy black pepper cream, spinach, grape tomatoes. Seriously, how can you go wrong with this? I was at first scared about the 'spicy' descriptor, but I'm a wimp when it comes to that and found that it was just right and flavorful. 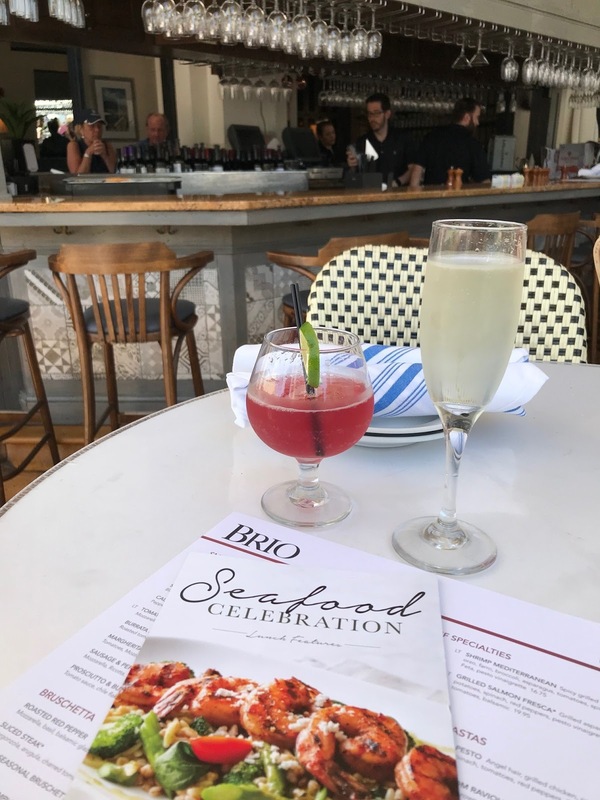 Right now, BRIO is celebrating moms, dads and grads with a gift card savings promotion, from Monday, April 9–Sunday, June 17. For every $100 in gift cards purchased, guests will receive a free $25 bonus card. 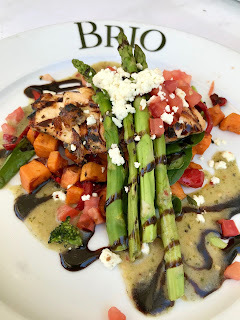 This spring savings gift card promotion is available for purchase in BRIO restaurants and online. I'm going to buy one for my mother (hopefully she's not reading this post, lol). Disclaimer: I received a complimentary preview of the new holiday menu in exchange for my honest review. But I was already a fan of the restaurant prior to this tasting.